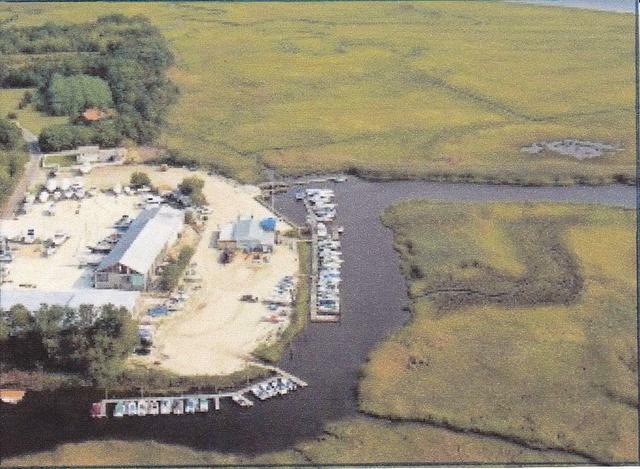 SEAPORT MARINA is a full service marina located in Egg Harbor Township. New Bulkhead and Floating docks make it a perfect place to dock your boat. The Yard is heavily decorated with nautical antiques and artifacts such as Anchors, Ballards, Oars, Vent Scoops, Davits and LifeBoards. A 45 Foot Shipmast gives the marina a lot of character. If you visit the Office you will find Ship Models and Wood Carvings . You will even see JAW, the Killer Shark from the Movie.